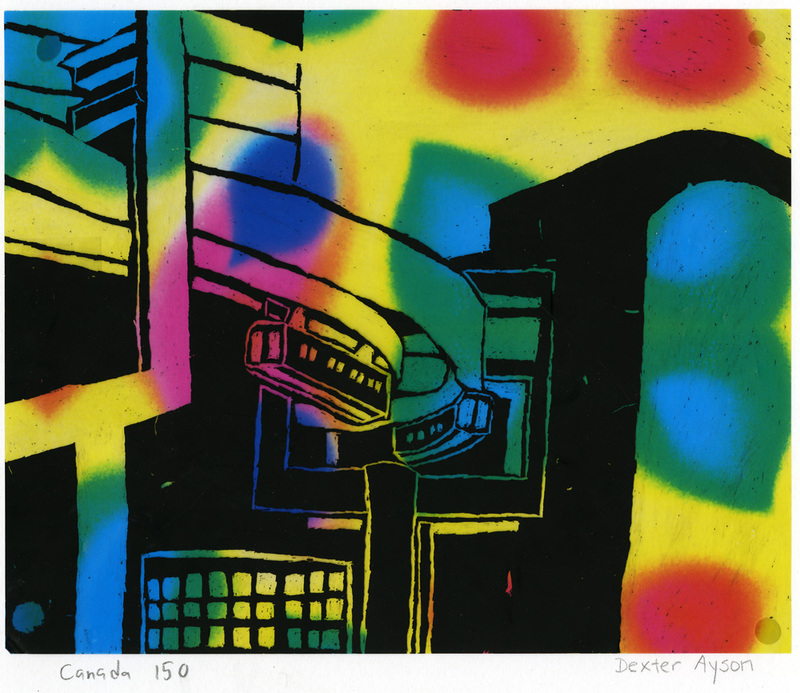 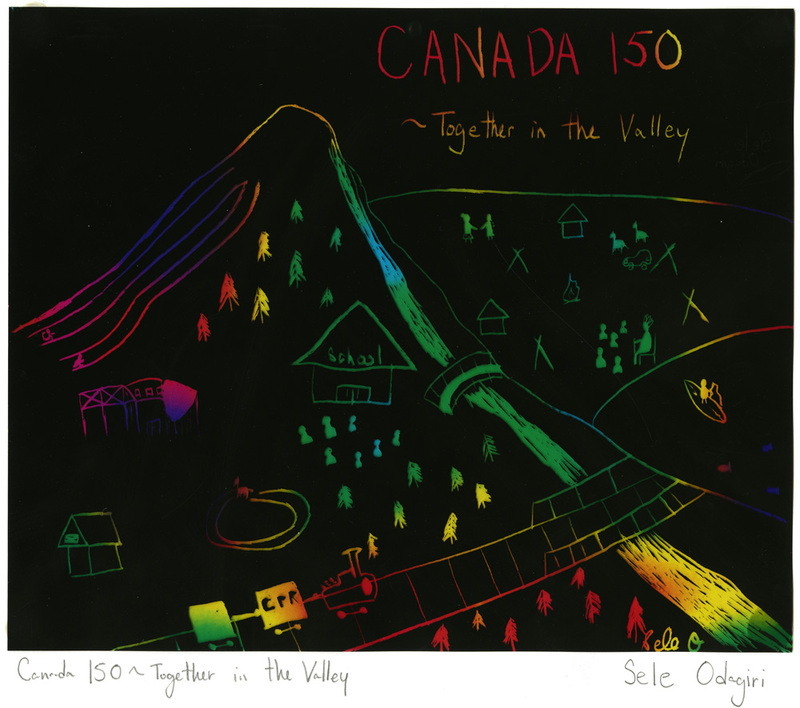 The Banff Community High School Grade 7, 8, and 9 students participated in a Canada 150 art project this past winter. 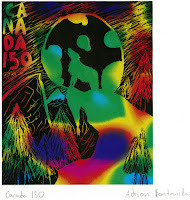 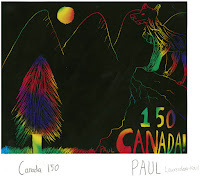 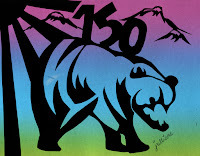 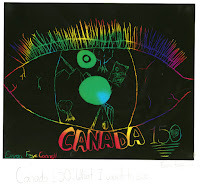 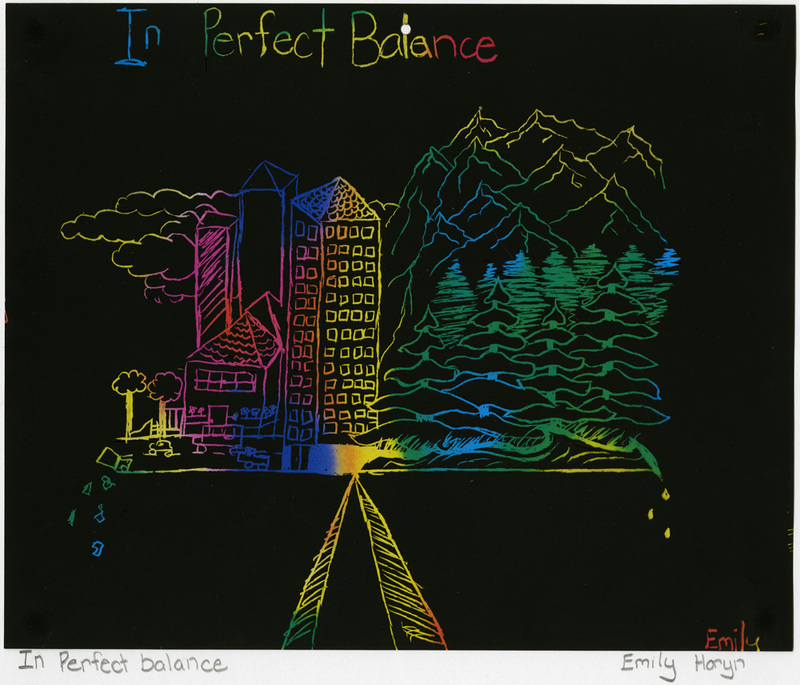 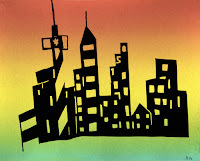 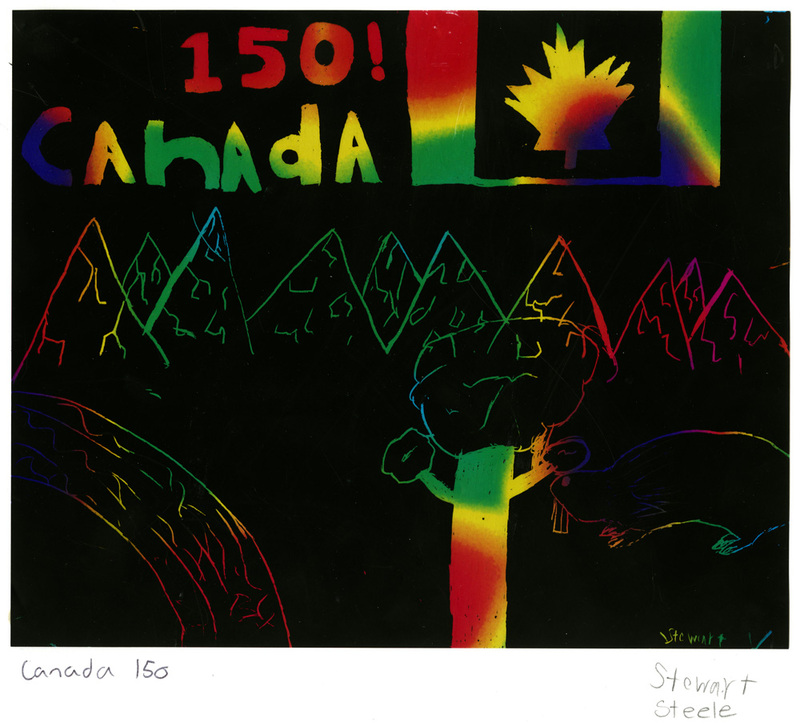 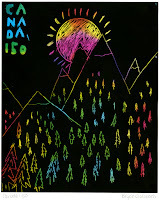 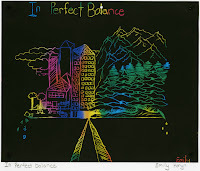 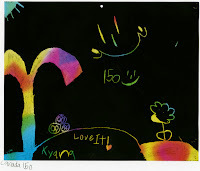 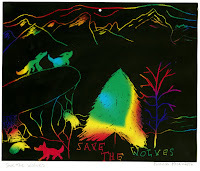 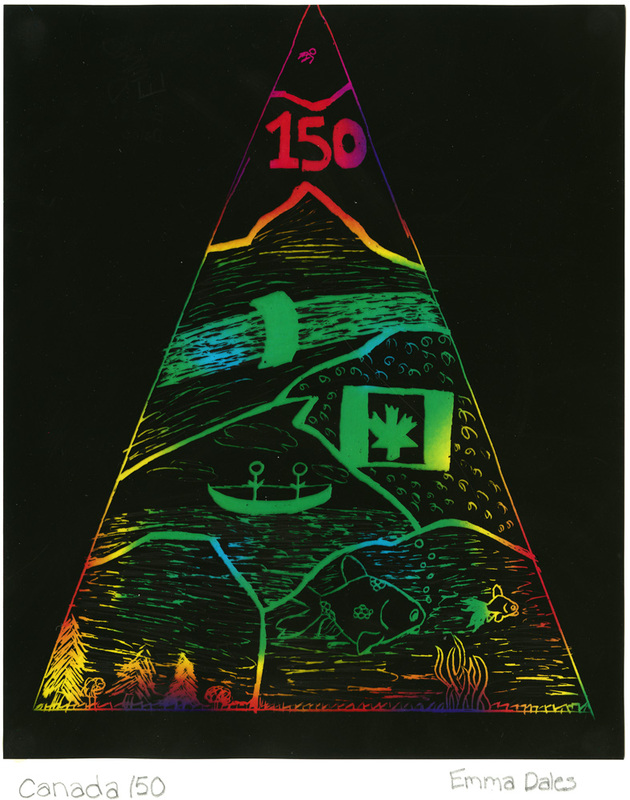 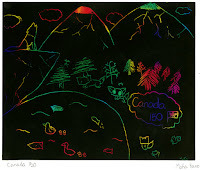 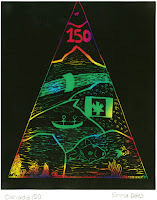 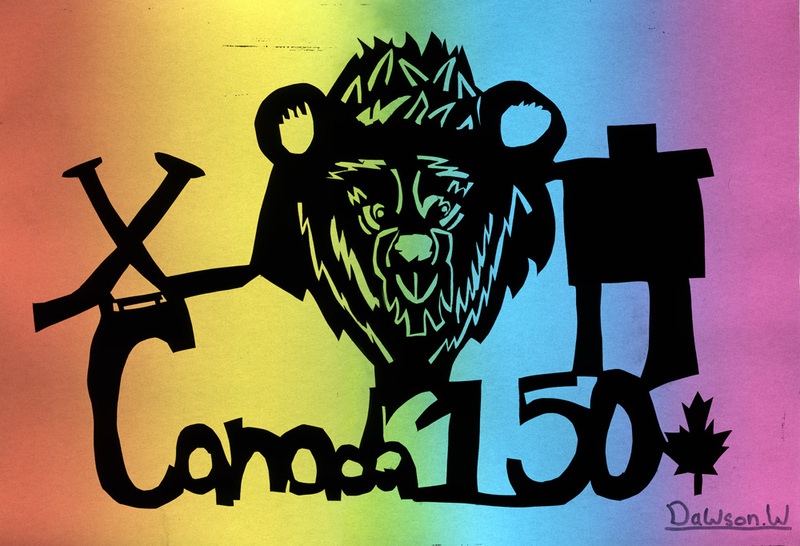 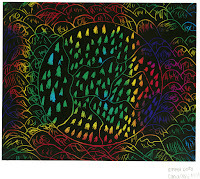 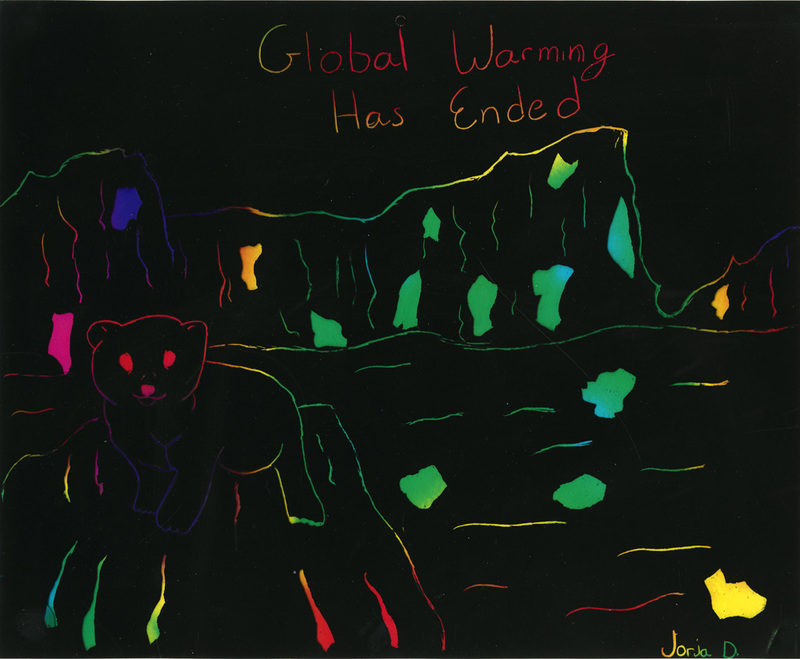 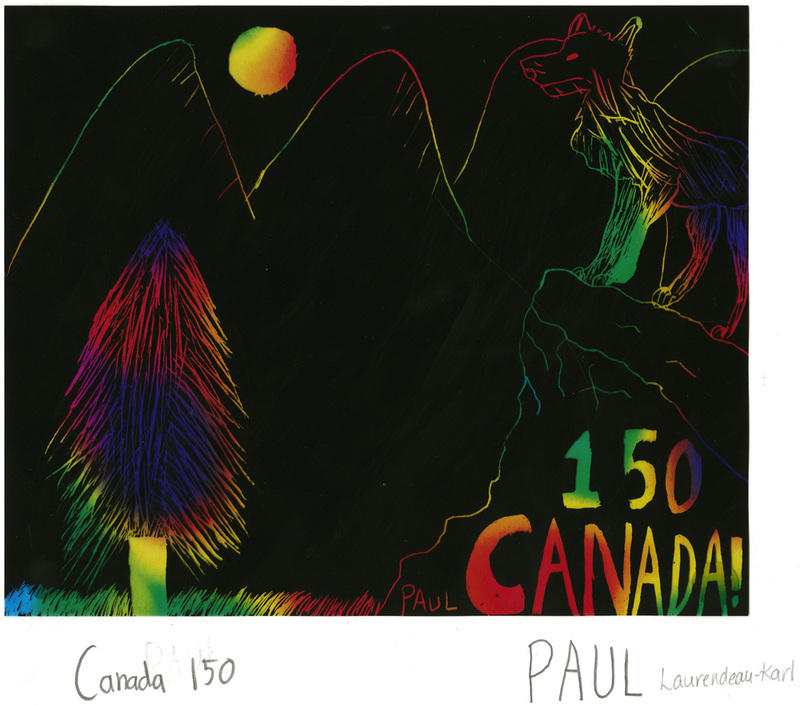 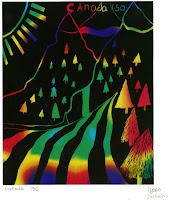 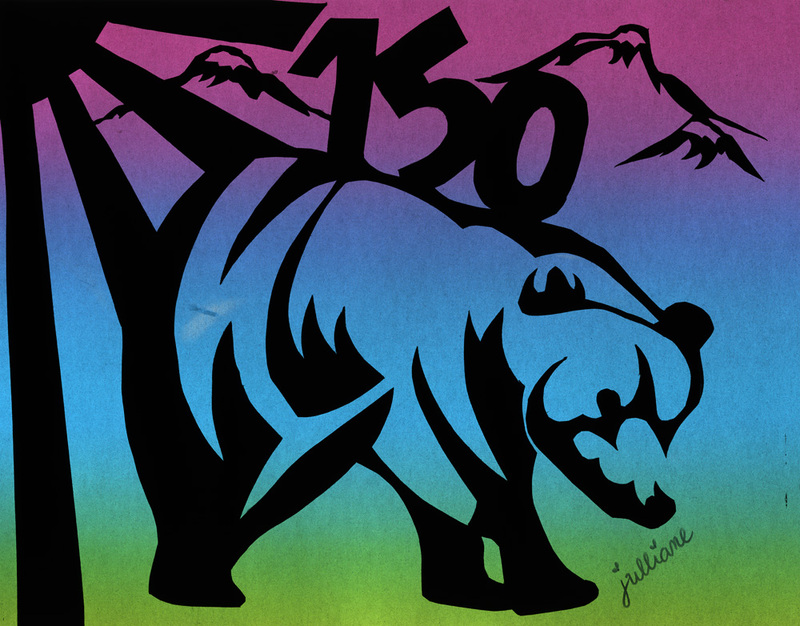 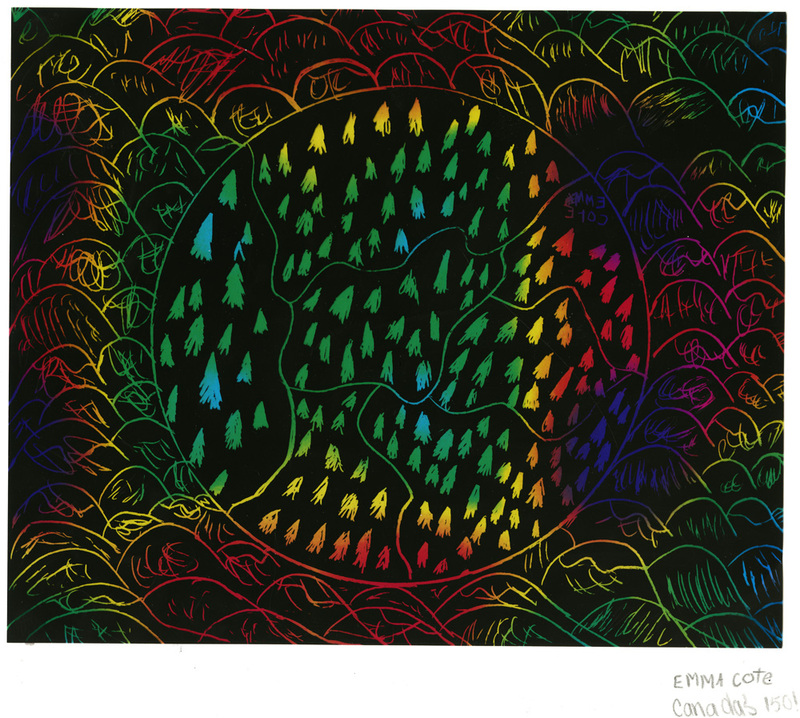 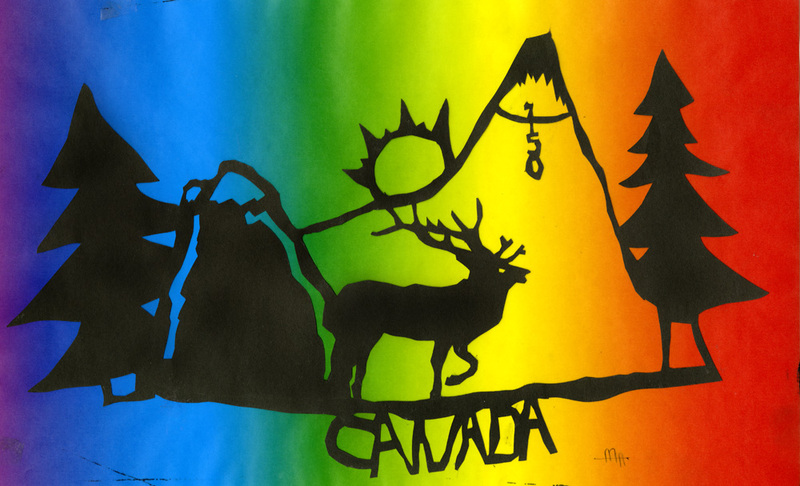 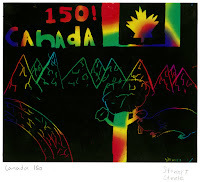 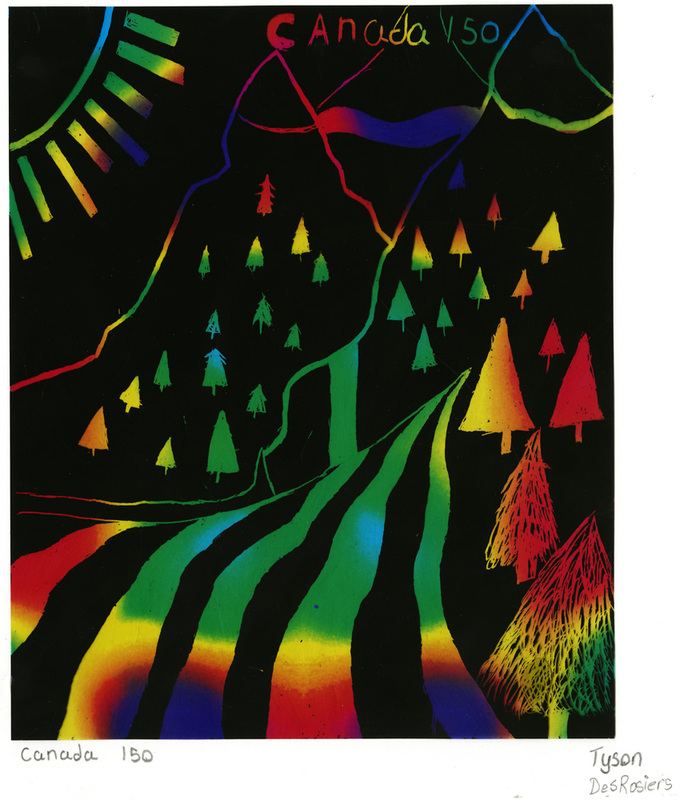 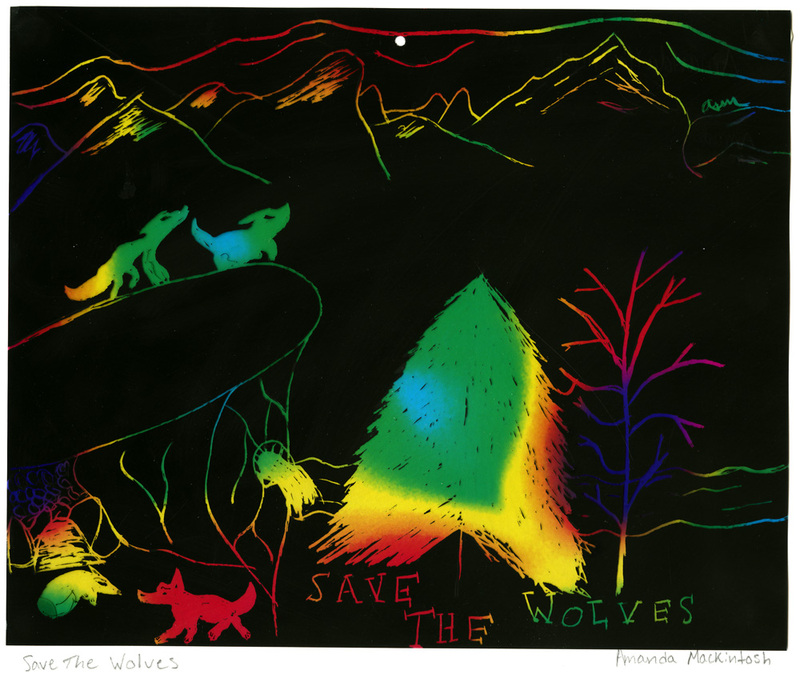 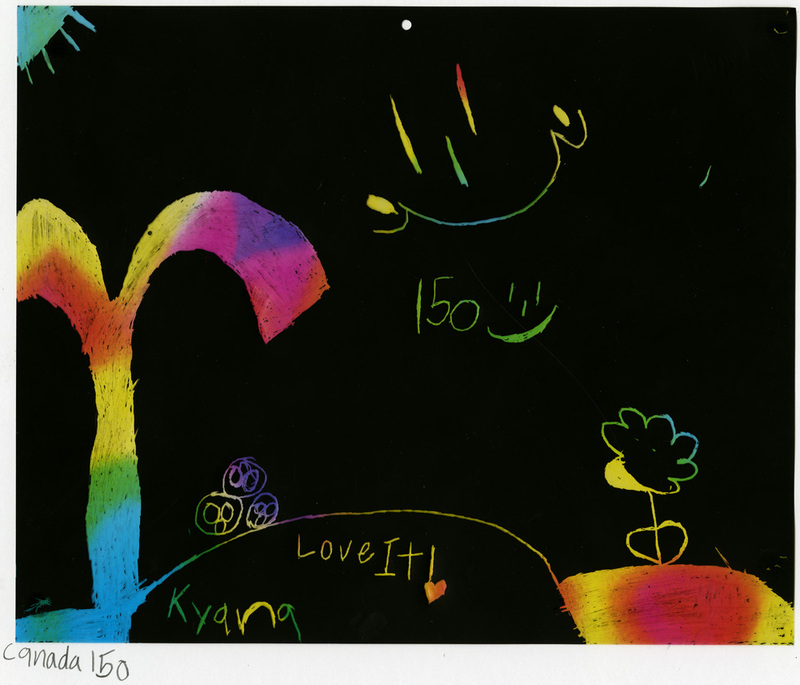 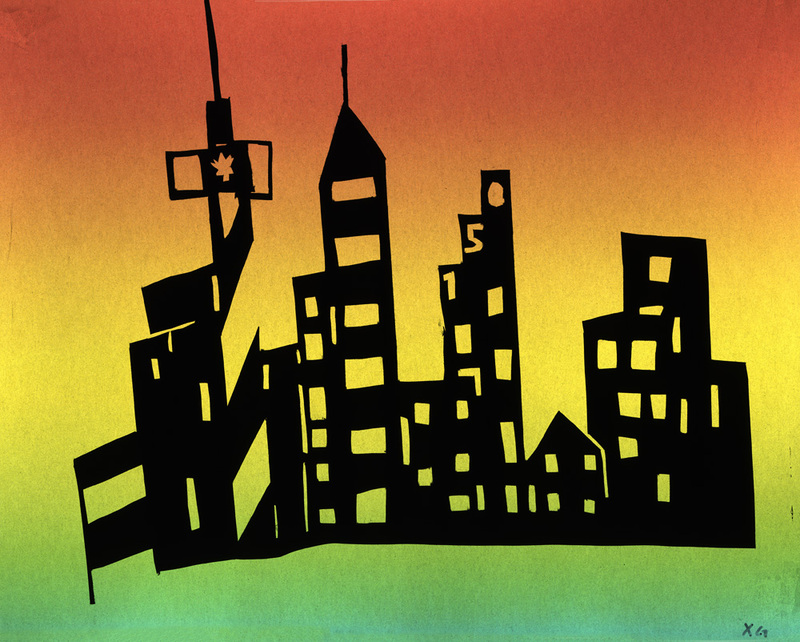 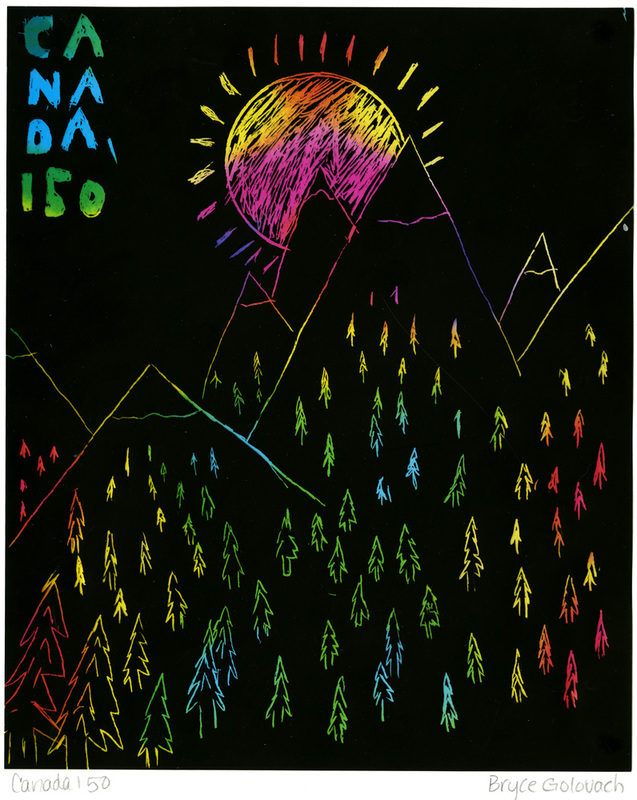 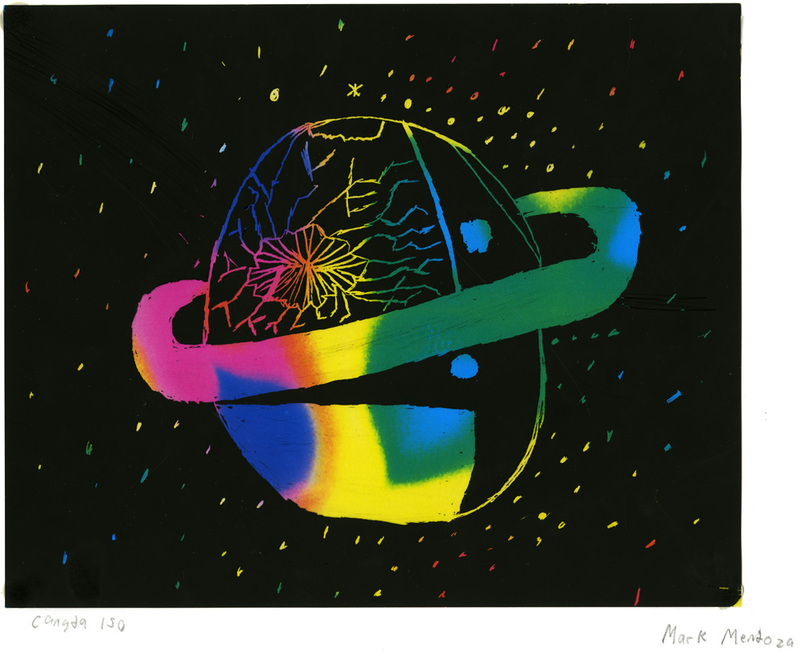 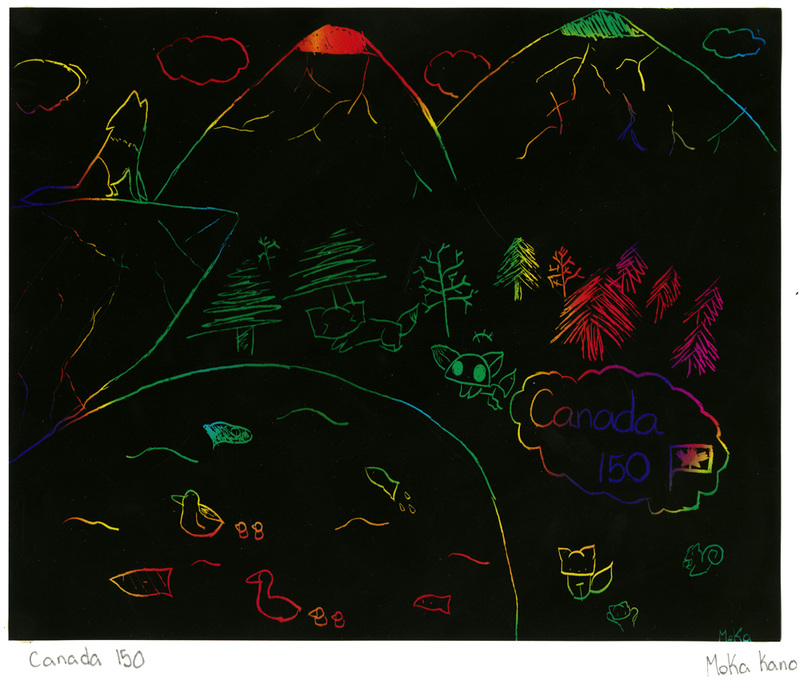 The theme of the project was to answer the question “What do you want Banff National Park and Canada to look like in 50 years?” Using scratchart and paper cut outs the students envisioned ‘Banff in 50’ using rainbow backgrounds to promote tolerance. 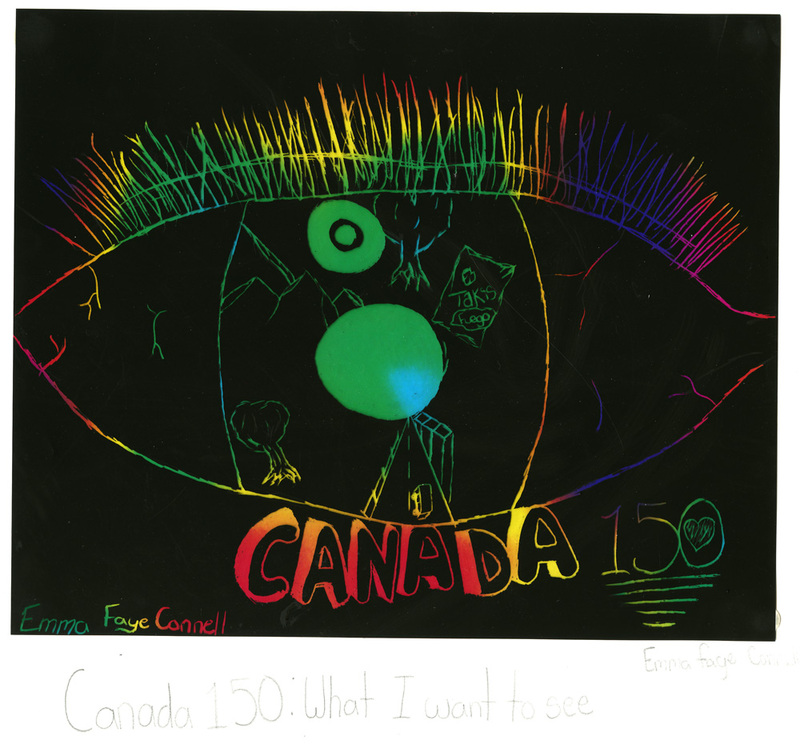 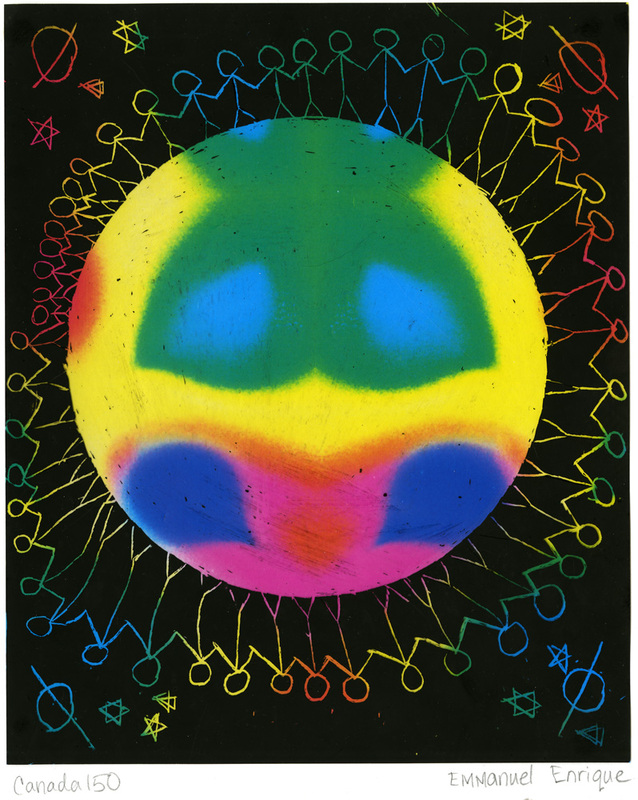 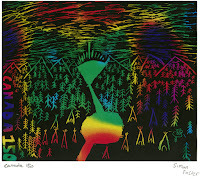 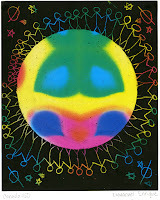 Some of the artwork will be on display at the Whyte Museum this summer. 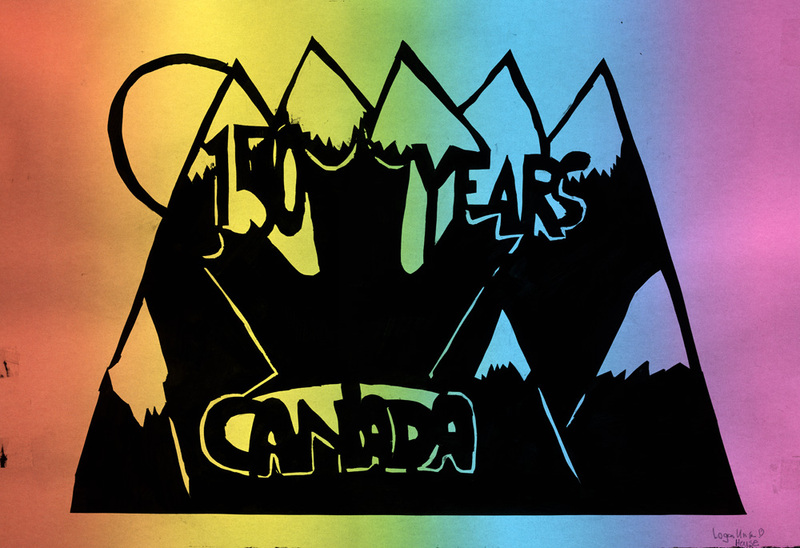 What do YOU want Banff National Park and Canada to look like in 50 years? 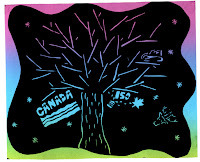 In 1851, a baby boy was born to James Brett and Catherine Mallon in Strathroy, Upper Canada. 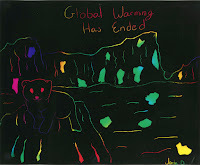 This boy would become known as Robert George Brett, or more commonly Dr. Brett. 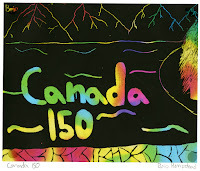 He would graduate from Victoria College Medical School, as a Medical Doctor in 1874. 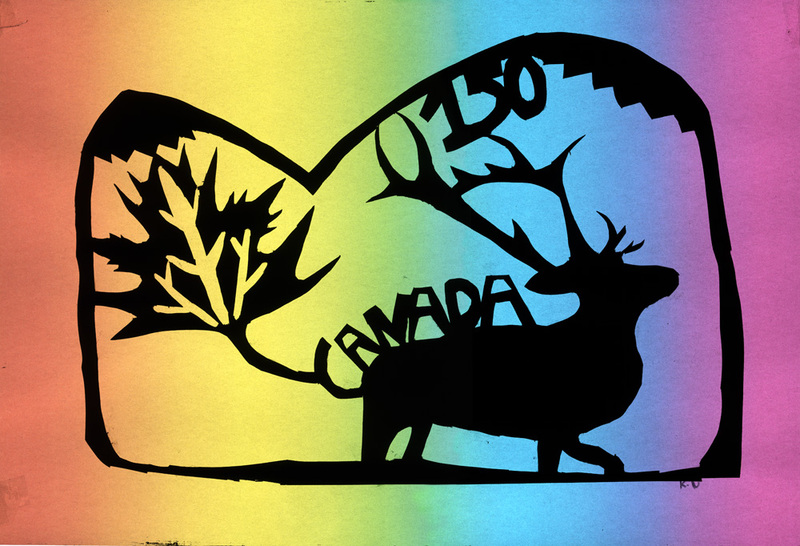 After further education, work, and travel, Dr. Brett joined the Canadian Pacific Railway on its endevour to build the transcontinental railway in 1881. 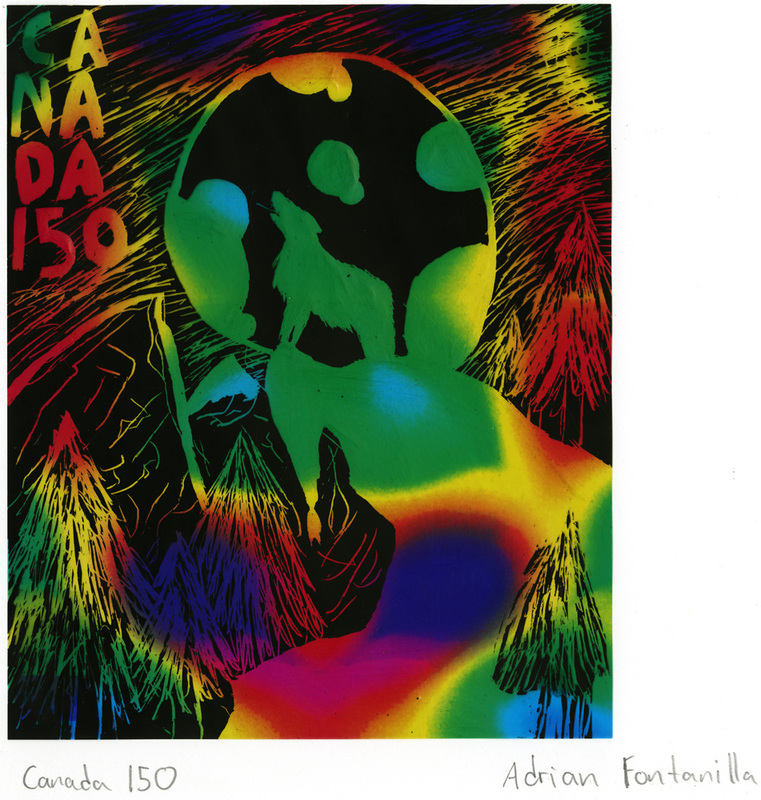 During this time he concocted the vision to open a hotel and sanitarium based on the use of the mineral springs found in Banff. 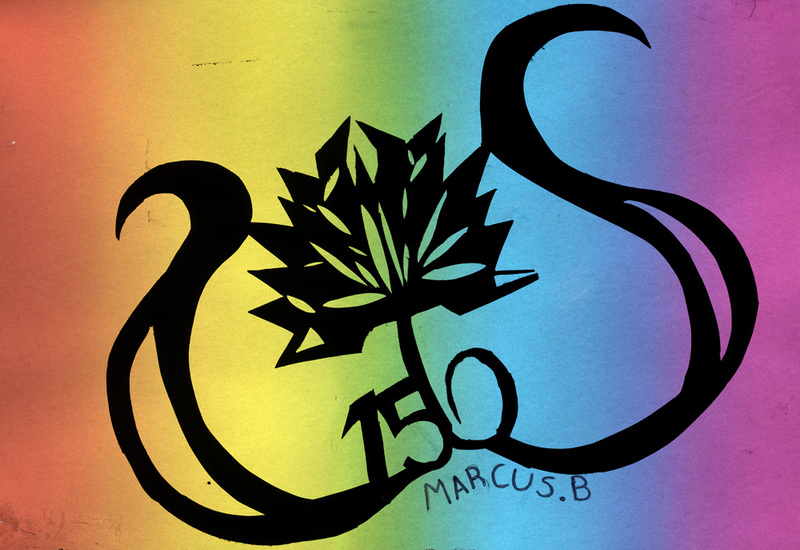 The site was selected and completed in 1886. 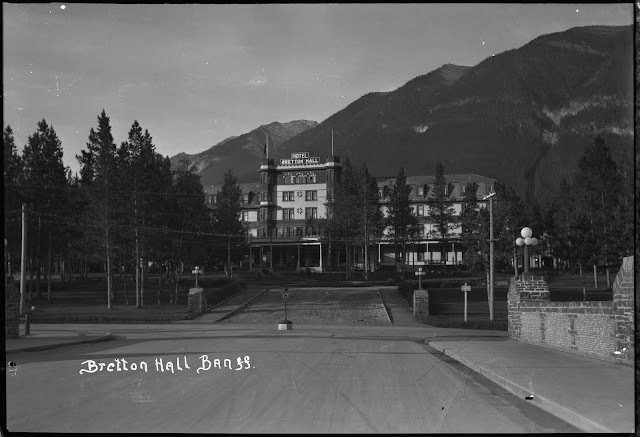 At first it was called the Banff Hot Springs Sanitarium Hotel, but was shortened to Banff Sanitarium Hotel or Banff Sanitarium. 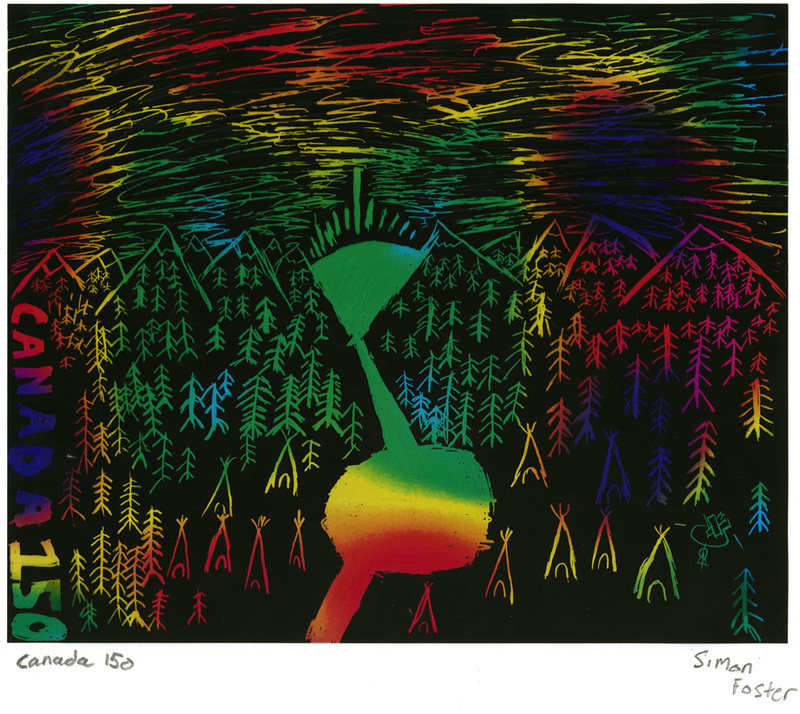 SkiBig3: How Did We Get Here? 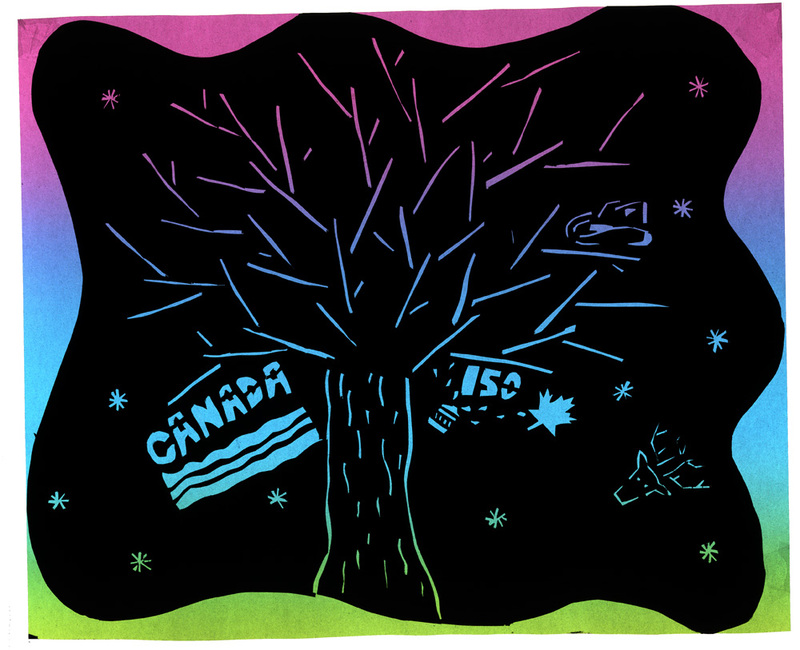 One of the things that you might notice while reading SkiBig3: How Did We Get Here? 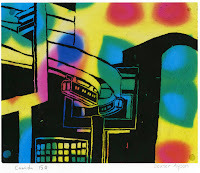 series is that at each step of the way someone made a unique impact on a place. 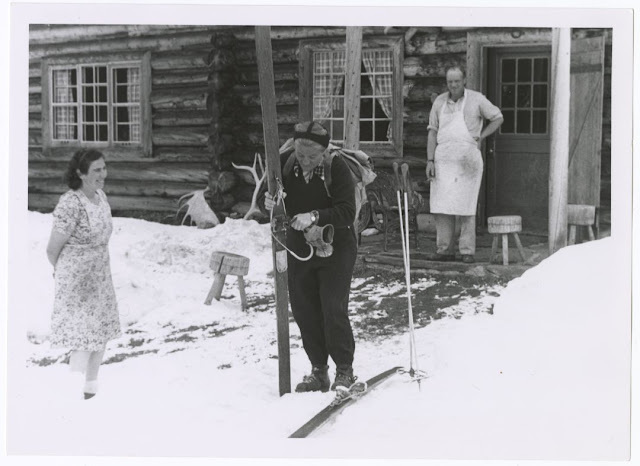 For Mount Norquay, it was Cliff White whose determination to develop skiing in the Canadian Rockies shone through to build that first cabin and establish the first ski club. Cliff then shifted his gaze towards Lake Louise and the Skoki Valley where he would, once again, launch a dream; this time of a backcountry ski lodge. 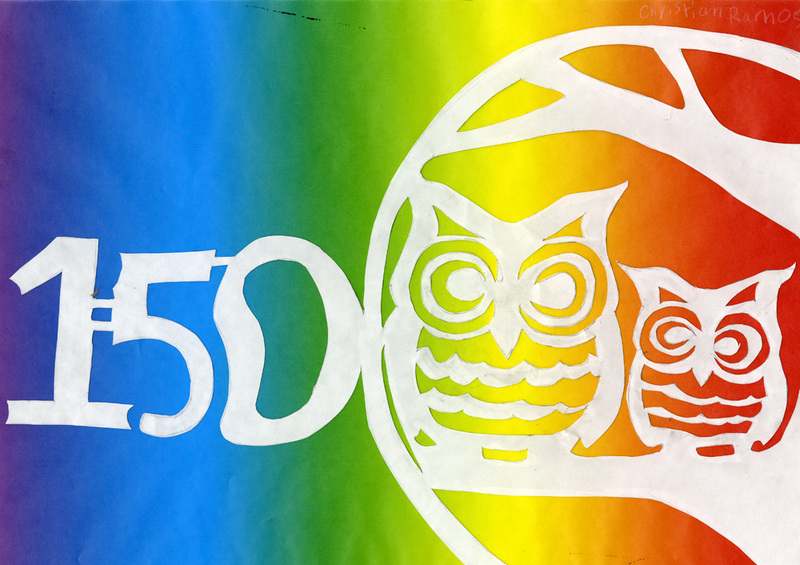 As we draw nearer to the 50th anniversary celebrations of our beloved museum we'd like to take some time to reflect on our Mission and what that means to us in 2018. 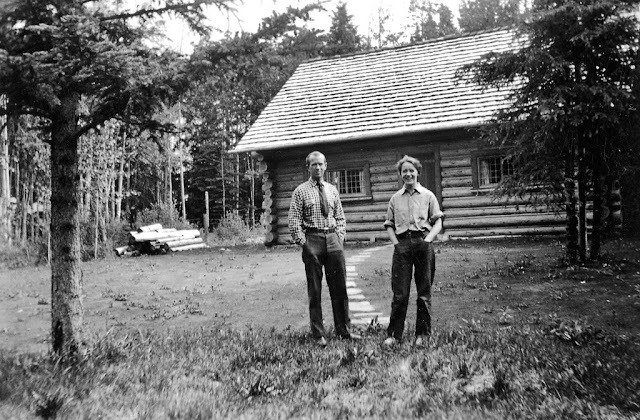 In the spirit of Peter and Catharine Whyte, the Whyte Museum of the Canadian Rockies acquires, preserves, interprets and makes accessible the history and culture of the Rocky Mountains of Canada by inspiring and cultivating the exchange of knowledge and ideas through our collections, programs and exhibitions. 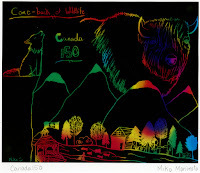 © 2017 - Whyte Museum of the Canadian Rockies. 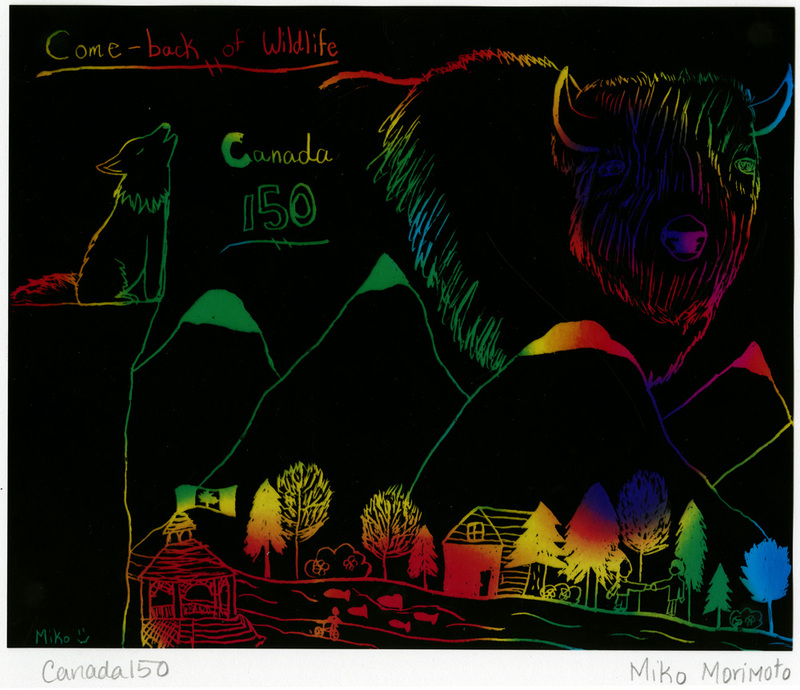 Founded by Peter Whyte and Catharine Robb Whyte, the Whyte Museum of the Canadian Rockies celebrates all that happens when peaks and people meet!